Whether you are teaching English as a second language to others, or trying to learn the language yourself, the Internet provides a wealth of materials related to ESL which are great for ESL vocabulary activities. Since the crux of learning English is to learn and understand vocabulary words, many of these resources relate to mastering vocabulary. A 4 ESL has over 1,000 activities to help ESL students improve their vocabulary and grammar skills. Activities include contributions from many ESL teachers. Site download speed is sometimes very slow; but, the result is worth the wait. Vocabulary.co.il offers fun English vocabulary games and activities that can help both native and foreign speakers of English build their English language vocabulary skills. Their vocabulary word games are organized under multiple categories of vocabulary lists. 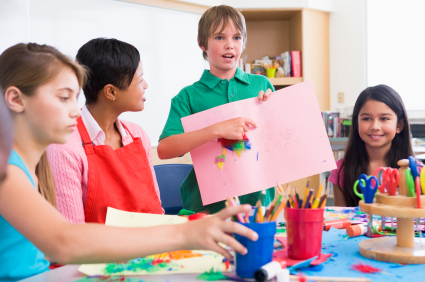 Their activities are aimed at helping students make connections between words and ideas, or words and pictures. By building these connections, the process of enriching vocabulary skills becomes faster and more efficient. My Vocabulary's daily word puzzle is a free resource that is used in over 24,000 schools to enhance student vocabulary as well as to enhance written and oral skills. World-English contains English language activities, exercises, and tests for ESL students. Agenda Web is a website containing free English exercises gathered from many different sources. Enjoy hundreds of free exercises to learn English online. Master verbs, grammar, and vocabulary, by listening to songs and videos. The site also includes worksheets and handouts and is a good resource for ESL teachers. ESL Galaxy offers over 2368 free printable worksheets containing ESL activities and lesson plans, with daily updates. Worksheets and printables include vocabulary worksheets, board games, crossword puzzles, and grammar worksheets. The website also offers fun game ideas for ESL classrooms or you can enjoy their free interactive exercises for online learning. Linguistic Funland contains activities and exercises for ESL students. With topics ranging from global email discussion lists to online activities, the website's links will direct you to many vocabulary-related websites and activities that students can do. At ESLprintables you will find many helpful resources you need to learn or teach ESL. The website contains activities, worksheets, board games, flashcards, quizzes, tests, powerpoint presentations, lesson plans, and other tools to make learning vocabulary fun and interactive. All the available printable exercises and presentations in the website were contributed by ESL teachers. Syvum offers online English activities that will help enhance your vocabulary, spelling and grammar skills. Madrid Teacher contains vocabulary games, activities and exercises for beginners and elementary students of English. ESL Mania is for adult ESL learners and teachers. Activities will help students learn new words, idioms, practice grammar, improve accent, and get lessons in business English. Interactive ESL Practice, offered by Portland Community College, provides interactive ESL practice activities so you can work on your grammar and vocabulary online. Browse their listings for listening activities, reading activities and games. ESLGo offers vocabulary-related speaking activities such as ESL role-plays, games including as "Find someone who," information gap activities, and other speaking activities. The site also offers examination rubrics for ESL oral tests, and discussion questions. At ESL-Kids you will find fun ideas for teaching and learning English through their huge list of ESL games and activities. Get ideas for alphabet games, flashcards, vocabulary games, sentence building activities, conversation games and many more activities, all designed for either small or large classes, and kids of all ages. English Language Help offers resources for ESL students and teachers. Here you can find lists and ideas for ESL vocabulary activities and lessons as well as ESL lesson plans, games, reading. Available in the website are printables and ESL flashcards. All their resources are free to print, download, and use. These links provide a variety of vocabulary activities. Using a variety of activities will help teach English words to ESL students in a fun and engaging manner. "ESL Vocabulary Activities." YourDictionary, n.d. Web. 21 April 2019. <https://esl.yourdictionary.com/lesson-plans/esl-vocabulary-activities.html>.